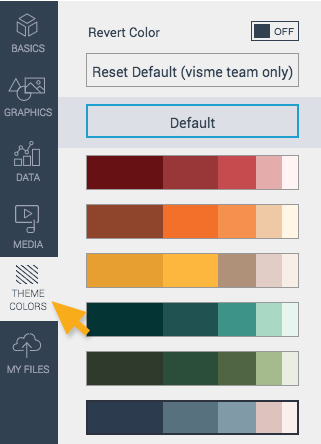 Aside from our awesome default theme colors that are already available to you in Visme, you can also create your own theme colors. Both methods are shown below. To use Visme default theme colors, you first click on Theme Colors from the left panel in the editor. You then select a default theme color that you like to use for your project. Tip: If you want to change back to your original color, simply click Default. In your Dashboard, click My Brand on the left panel. Select the Colors tab and under the Theme Colors section, click Add new theme color. There will be a pop up window showing 5 colors. You may change all of them to your desired colors. 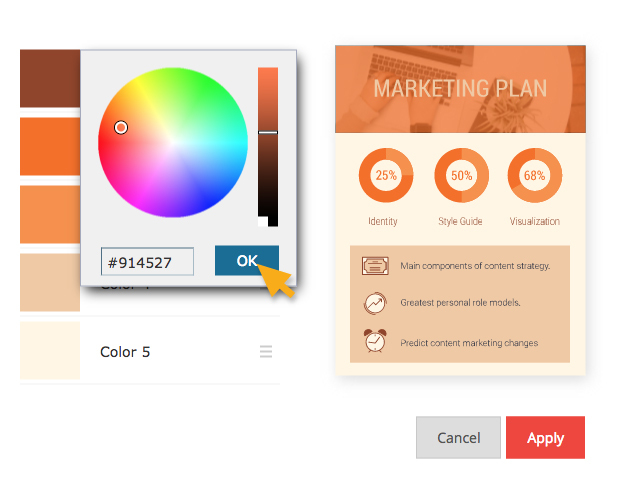 To do so, you first click on a color block, You then change your color using the color wheel or enter a hex number. Once you are done, click OK.
You can also drag up or down your colors to customize the order of your colors to reach your desired setting. Once you are set, click Apply. 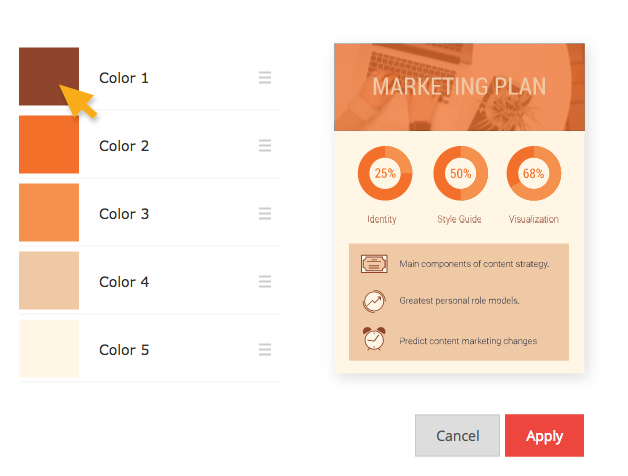 You can now access your brand (already-created) theme color in the Visme Editor. 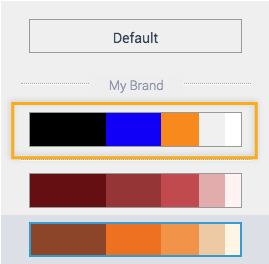 Under the Theme Colors left panel, your brand theme color will show up at the top left of your screen. Click on it to apply it to your project/slides. 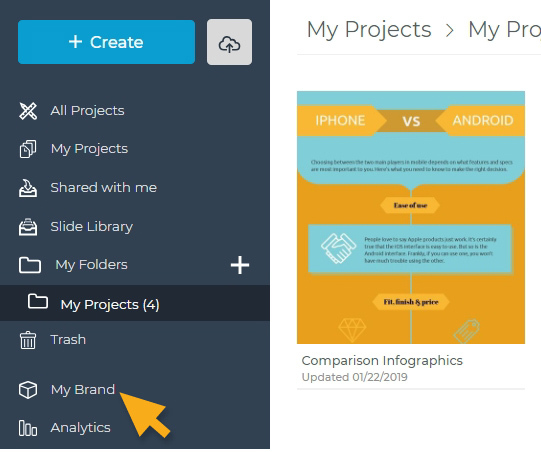 This feature is only for those with Premium (Business or Team Plans) can access the “My Brand” feature. You can have multiple theme colors to fit your needs.